Online quote services. These are also called Lead Aggregators. These are websites that are designed to get client information and then find the right companies for their needs. After giving your information to online quote providers, you can expect brokers to call you soon enough. Brokers. They are also called Middlemen. 95% of the companies you find on the internet are actually brokers. They’re not the ones who will actually ship your car, but they will post their shipments and contact individual carriers who will do the transport. Brokers are great for coordination and communication but the actual shipping responsibilities will fall on the carrier. Carriers. These refer to the trucks you see on the road. 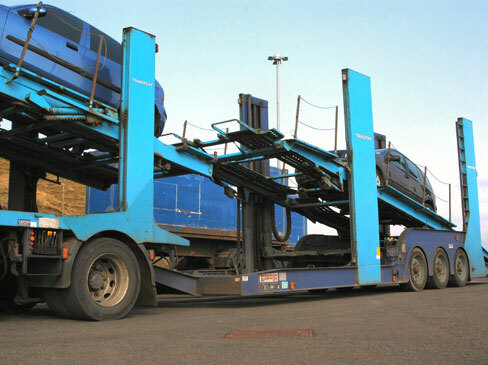 They can be made of single drivers, business partners or family teams that do the actual loading, driving and delivery. Carriers transport vehicles using either individual trailers, open trailers, enclosed trailers, 3-car haulers or large multi-level auto carriers. These guys rarely offer their services directly to the customers but they do work closely with brokers to fill their truck’s capacity. Door to door transport involves having your car picked up from your home and delivered straight to your new address. The basic idea behind this option is convenience for the customer. However, this option will cost you a higher premium. Terminal to terminal auto transport on the other hand will require you to personally bring your car to their designated drop-off location and then get it back at a designated pick-up location. Think of it like bringing and picking up a relative from the airport. You will get a lower price for this option, but it does take some valuable time from your hands. The first things you have to consider are your budget and timeline. These are important in choosing the best company and type of transport. Here’s a tip: although terminal-to-terminal shipping may seem like a great money saver, don’t forget that you’ll have to drive your car first and pay the corresponding gas and toll fees along the way. Plus, you can never put a price on your lost time. In order to be sure of a transport company, carefully analyze their breakdown of services and prices. Almost all of them will require a down payment (around $150-$200), so make sure to have a solid option first before you decide on who will transport your car.